Despite the jubilation, many people felt it was wrong to celebrate because so many people had died during the war. On 11 November 1919, one year after the war ended, a newspaper announced that it was "Peace Day". People wore black as they would at a funeral. The king decided there should also be a period of silence to remember those who died. When the church bells struck 11, people all over the country stood up and bowed their heads. Buses and trains stopped moving. People stopped working. Shopkeepers stopped serving. The electricity was cut off to stop the trams from running. Everyone just stayed silent to think about the soldiers who had died. When the Cenotaph in London was built in 1920, people laid flowers there in memory of loved ones who had died in the war. 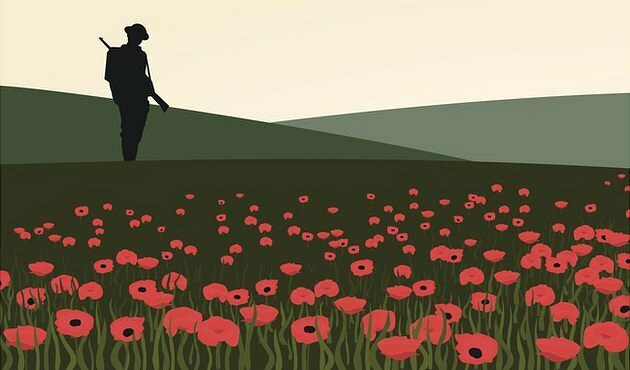 Ever since the first Remembrance Day, people have followed the same tradition: every year on 11 November they stop for a short moment of silence and reflection. Since 1920 many people have also gathered around the tomb of the Unknown Warrior at Westminster Abbey. 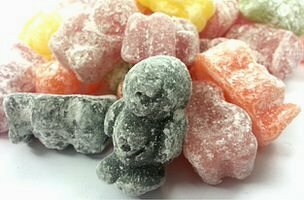 Here, there is a body of a soldier whose name and rank no one knows. People visit his grave to think about all the soldiers they did not know but who fought for them during the war. Poppies became used as a way to remember soldiers who died in battle, because of how the flowers sprung up and grew on the barren battlefields of World War One. 'In Flanders Fields' was written in May 1915 by a Canadian man called John McCrae and has become a famous wartime poem. It says, "We shall not sleep, though poppies grow in Flanders Fields". Flanders Fields was a place where many battles took place. The poem meant that, even though soldiers got hurt and sometimes their lives ended in the war, the poppies still grew. The poppies represented hope. A French lady called Madame Guerin read the poem and liked it so much that she started to sell poppies in America. She did it to raise money for the places in France which had been damaged by the war. She persuaded the British Legion to use them too. A man called George Howson made and sold the poppies in Britain. He wanted to raise money to help people who had been disabled by the war. 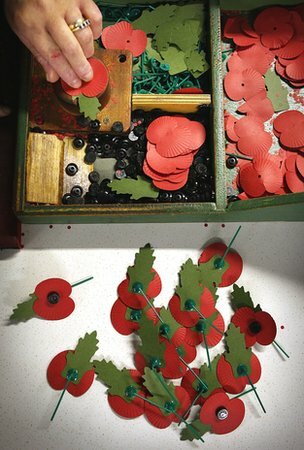 A simple poppy design was used so men who had lost a hand could assemble them. Howson said at the time, "I do not think it can be a great success but it is worth trying". The poppy is still worn by millions of people every November. 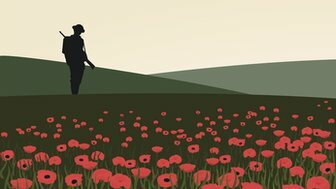 Teachers' notes and classroom ideas looking at the end of war and remembrance.